Flying with a Strat. How? Discussion in 'Guitars in General' started by Tremolo Arm, May 10, 2016. Apologies if this has been discussed (I would be surprised if it hasn't been) but I could not find any info through the search engine. What is the latest policy on taking an electric guitar on board a commercial aircraft? I have a gig in Paris and need to take my Strat. I am flying British Airways from London Heathrow and have allowance for a single checked baggage but I'd hate to check it in. Can I take the guitar on board? Worse case scenario, can I leave it at the gate for someone to carry it on manually (as they do with baby push chairs and buggies)? 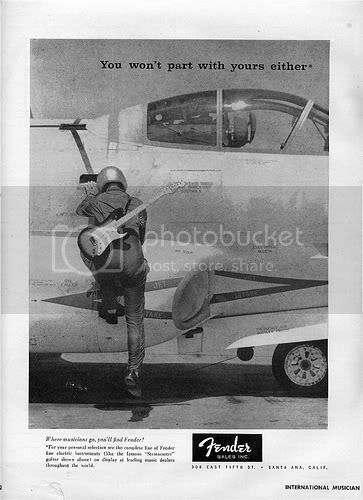 How do people fly their guitars generally? Ideally, you would want 2 strats. One in each hand. I suspect this is a main reason why buyers always need to know the weight. No really, I recommend a solid gig bag like a Mono as your carry on and try to board first. Small chance you would need to gate check. Lef T and monty like this. Don't know the European policies, but I'd start by looking over the British Airways website and maybe give them a call. One option some use is to remove the neck from the body and pack them in your bag padded by clothes. In the US, TheoDog's response is the usual approach, although some go the route of taking it in a seriously robust flight case and checking it. (off topic - I have a dog named Theo). If you step on the plane and there is space they have to let your guitar on board. What i do is (when i fly jetblue) i pay for more leg room. That way i am one of the first people to board the plane and there is always space. That way i always take my guitar on board with me. MrLahey and 1224 Lee like this. I've done it many times. If you can, book yourself a seat right at the back of the plane. This should mean you get boarded first. Then just pop it into one of the overheads and relax. Dead easy. I've never had to check a guitar in 10 years of flying across the Atlantic with them. I flew from NYC to Asia for a tour. 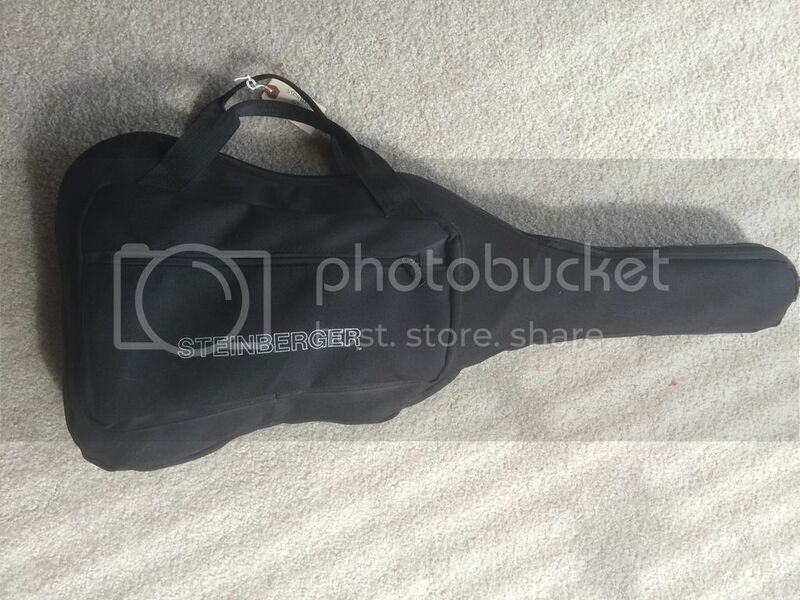 I took my Stratocaster in the stock Fender hardshell case. I checked it as baggage. Off it went, down the conveyor belt. When I retrieved it in Asia, it was still in tune. I really don't think these things are as fragile as some people worry about. I put it right in the overhead bin, as I sleep. leonard d rock likes this. BA is pretty user friendly - ask them nicely and they're usually great. Some good advice above about getting on early to make sure there is space for it - I also tend to ask for them to put it in the coat locker up front - usually they do and have it out waiting for me when i get off. Boarding policies vary by airline (and by continent I'm sure) --nowadays if you aren't in a loyalty program or pay extra you'll be in a late boarding group. I haven't been on a plane that boarded back to front in a while. There's always the option of showing up in a wheelchair and preboarding. Just don't forget and stand up to put your guitar in the overhead. It depends on the aircraft and overhead bin type. Most long haul planes have separate overheads that pull down. the problem is that they are too short for a strat. EVH did the 4/2 small headstock specifically so it would fit in these overheads. On the plus side, overheads and closets on overseas flights are not as packed as domestic flights so you'll most likely find an empty space. I just unbolt the neck, fold the strat in half, and put it in my bag for the overhead. I'll be flying from the US to Berlin with a Strat this summer and have been researching this quite a bit. It seems most of the EU-based airlines (Lufthansa, SAS, Air Berlin, etc.) have very recent, strict policies limiting carry-on items to 55cm maximum length. They want you to buy it a seat or pay extra to check it as a second bag (assuming you have a suitcase.) Unfortunately, they have the best prices at the moment, by far. My German friend insists that if I bring it in a gigbag and ask nicely, they'll allow it onboard,. But if I do this and they are strict to the policy, I'll have the worst of both worlds – pay an extra $100+ to check it AND it will be in a gigbag. Just so there's no surprises, I'm leaning toward removing the neck and putting it in my luggage, but then I'm really screwed if the luggage is lost or late (I have a gig the day I arrive.) Plus I'll have to scramble to reassemble it and deal with any setup issues while jetlagged. Jesus, man. Just check it as baggage in a hardshell case. Just double-checked the fees and that'll cost an extra $300, roundtrip. I'd like to avoid that if I can – I'm not playing stadiums over there! Perhaps. But I also threw it into car trunks, into bus cargo holds, and dragged it through the subway. Not a single problem. That's the rub with the taking the neck off option - you have to have a screwdriver to put it back together. We need an international network of peeps that we can meet up with who will hand us a screwdriver as we leave the airports. Actually, what would be very cool is to have it setup where we all provide guitars to each other as we travel - then not only painless travel, but get to meet each other. Unfortunately, we're musicians, and we know how reliable they can be. Actually, I just checked, and apparently you can take a screwdriver if its less than 7" - unless your TSA agent doesn't like it, in which case you lose it.